Sanding, staining and sealing pine floors is one of the many wood flooring services we offer. 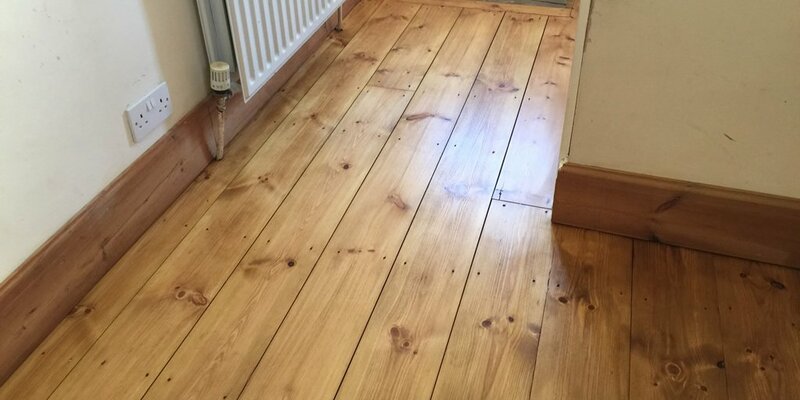 Here’s an example of a recent pine floor that we sanded, stained and sealed in Kidlington. 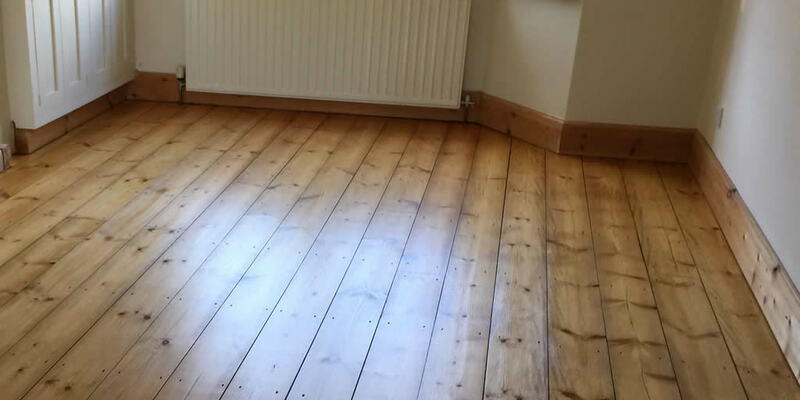 This pine floor was in need of some love, so we took away the aged top layer to reveal the fresh wood beneath. 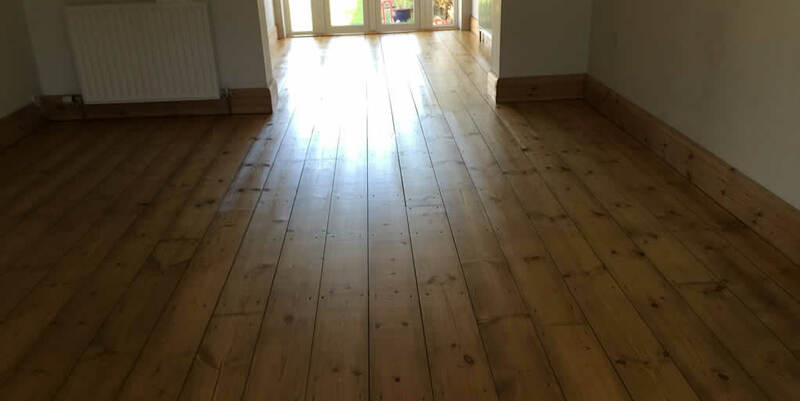 Pine is naturally a light coloured wood, so to create this deeper colour we stained the wood floor and then sealed it to protect it and make the finish beautiful and durable.